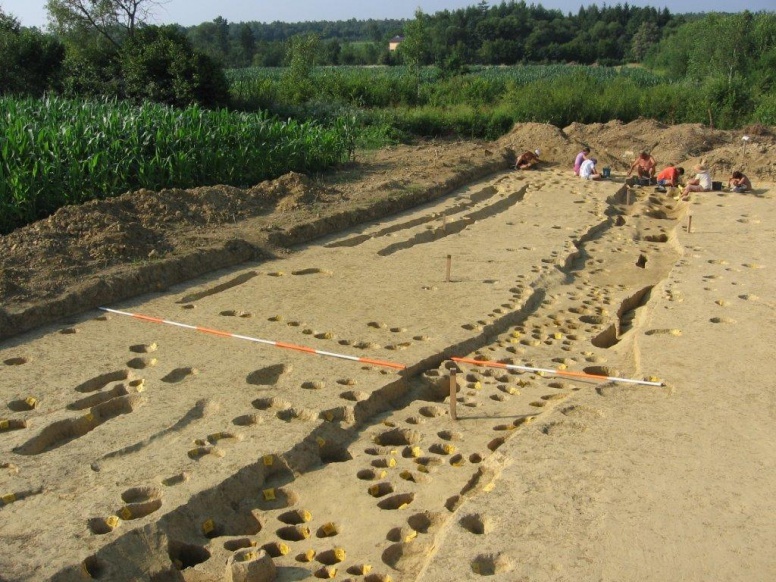 The salvage archaeological investigations at the AN 8 Donji Vukojevac – north site, on the route of the Zagreb – Sisak motorway, section Velika Gorica, south – Lekenik (2nd part Buševec – Lekenik) were carried out in June and July 2010. 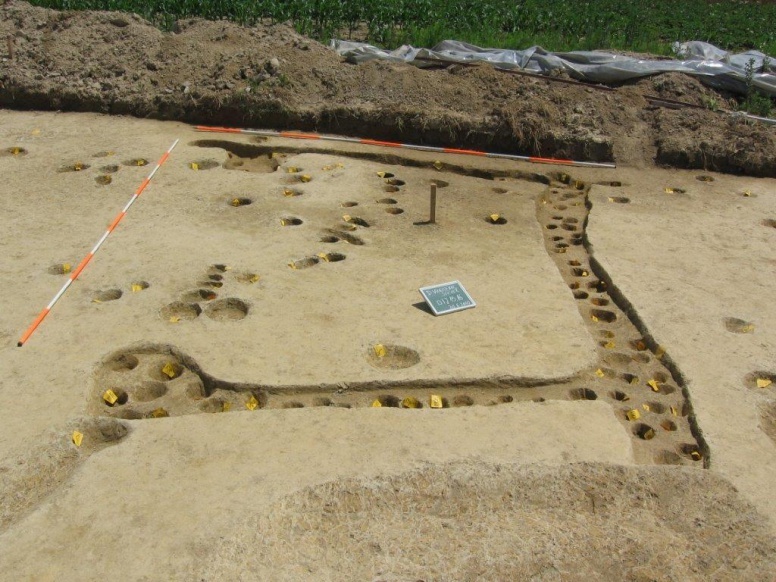 The research covered an area of 1000 m2 at the Donji Vukojevac overpass, uncovering the remains of a Late Iron Age settlement of the La Tène culture, around 2000 years old. The site Donji Vukojevac, north, cadastral name Luke, comprises a big elongated levelled terrace of a low hill (like a hillfort) aligned east-west, which gently descends southwards into the broad valley of the Koravec brook. In prehistoric times Koravec must have been a far bigger river, probably navigable, and an excellent communication via the Odra river to the Sava river, as suggested by the name of the terrain, Luke (Ports) and the discovery of a fortified settlement of this size from the Late Iron Age. 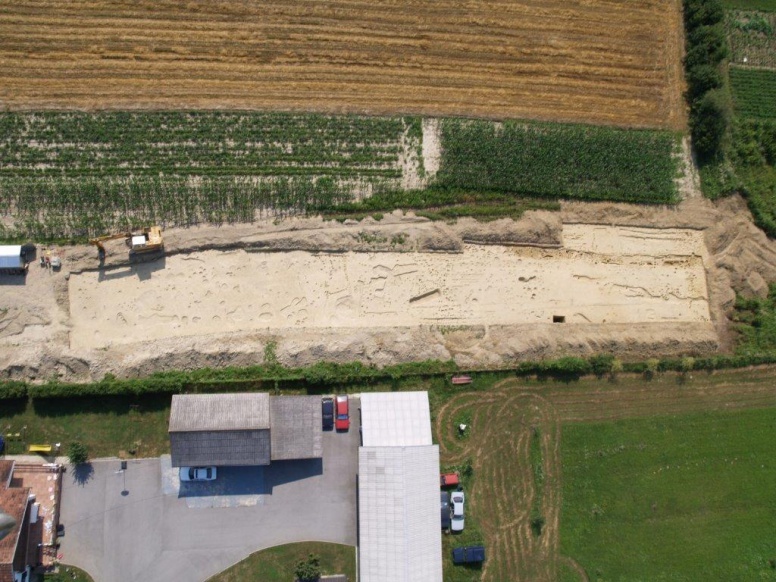 The excavation zone covered only a small portion of the site, 100 m long (in the N-S direction) by 10 m wide (E-W). The site extends in all four directions beyond the investigated route of the overpass. Although the width of the trench was limited to mere 10 m, a number of working and storage pits were discovered on the flat terrace (the dimensions of the largest storage pit, of rectangular form, were 4.70 x 1.30 m, with the depth of 55 cm). Between these features there were a number of post-holes and foundation rows of a rectangular house (measuring 5.70 x 3.70 m in plan). 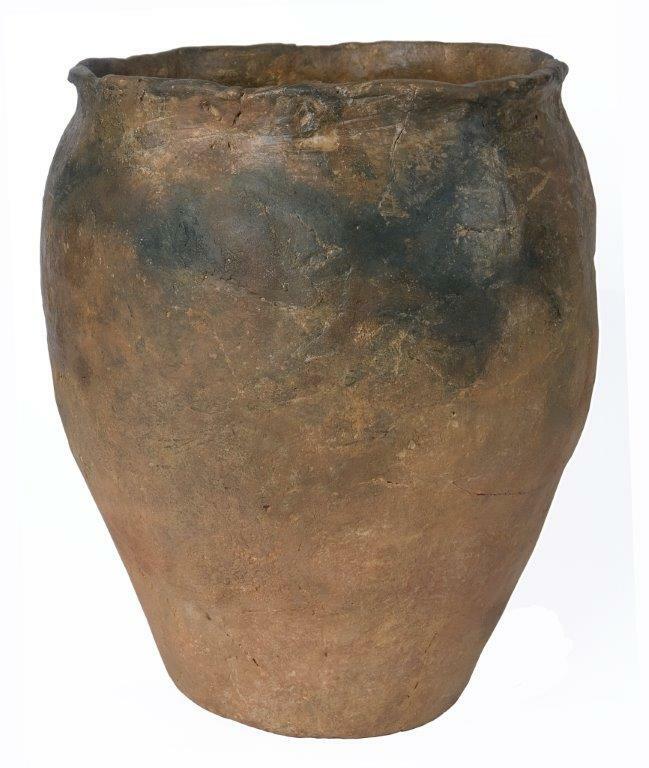 In spite of the small number of discovered potsherds, based on their fabric and form they can be attributed to the Late Iron Age – La Tène, of indigenous workmanship with a Hallstatt tradition. The most important discovery in this settlement was the lower portion of a big earthen rampart that surrounded the centre of the settlement in the NW-SE direction. The rampart was built on the slope of the plateau in the N-S direction in the (investigated) length of 34 m, 2 m wide and dug up to 50 cm deep. The fortified settlement at Donji Vukojevac-Luke is dated to the Late Iron Age and in the broader sense belongs to the La Tène culture of the 4th-1st century BC. Minichreiter, K., Marković, Z. 2012, Donji Vukojevac, sjever, zaštitna arheološka istraživanja na trasi autoceste Zagreb – Sisak, Annales Instituti Archaeologici/Godišnjak Instituta za arheologiju, VIII, 79-84.